I made this few weeks ago but haven’t got the time to post it on my blog. This is a simple and fast dish to prepare. It’s definitely a keeper. I cook this whenever I run out of idea what to cook. The Tabasco sauce really adds a kick and makes a big difference to the taste. I’m glad I have tried out this dish. 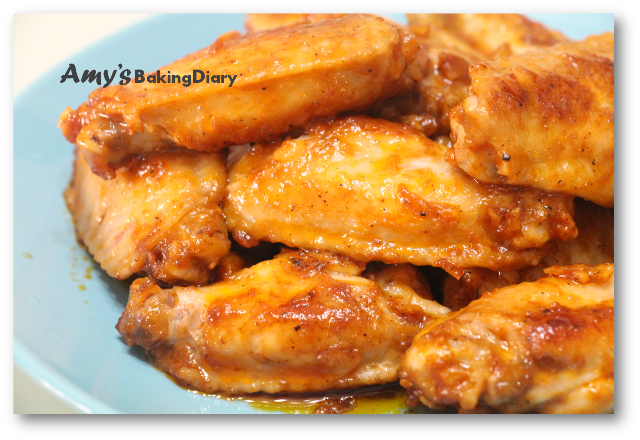 (1)Rinse chicken wings and pat dry with paper towels. 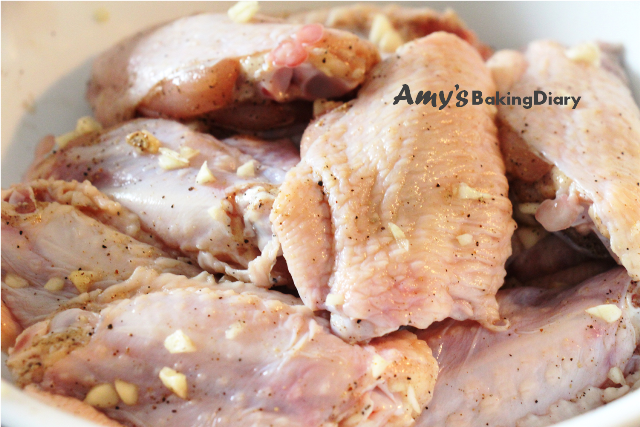 Sprinkle garlic salt and pepper evenly. Set aside for 15 minutes. (2)Heat oil in a frying pan. 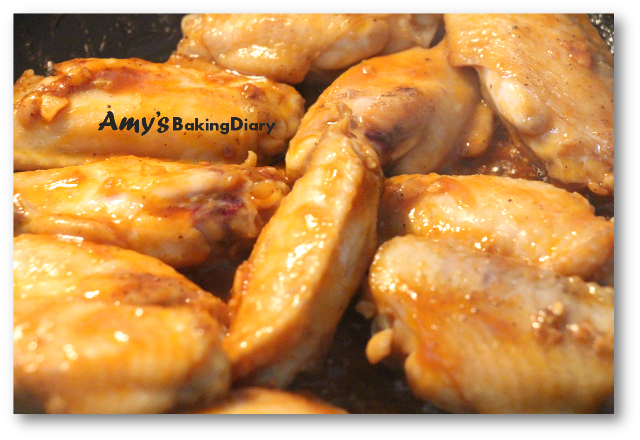 Place wings on pan in single layer and cook on both sides in batches over high-medium heat until brown. The wings will release some oil. Drain and discard the excess oil. (3)Toss back the wings. Add seasonings, stir to combine and reduce heat to low. 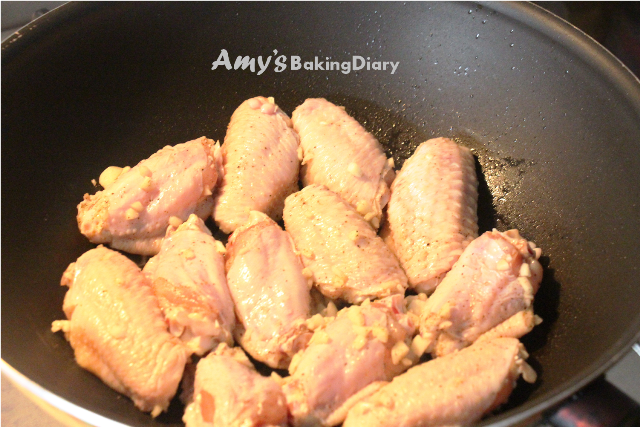 Continue to cook, covered, add more water, if necessary, until the wings are cooked through. Serve hot. This recipe is adapted from Christine Ho – Easy Recipes, A Selection of Simple Classic. I’m contributing it to Cook-Your-Book #17 organised by Joyce, Kitchen Flavours. Yummy, these yummy looking chicken wings made me drool. 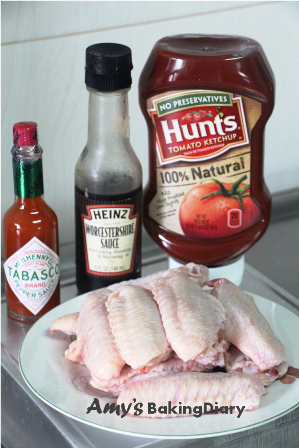 Occasionally I made pan fried chicken wings too but didn’t add Worcestershire sauce or Tabasco sauce. Must be tasty ! Thanks for sharing. 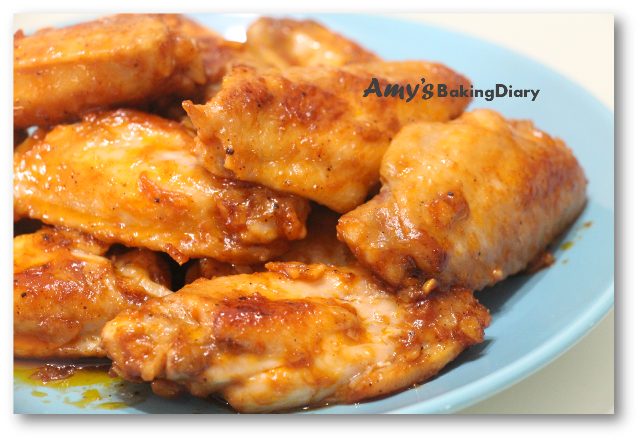 Hi Amy, delicious looking chicken wings. I like simple dishes like this. It's a keeper. Bookmarked. The chicken wings looks really delicious! I could finish half a dozen, maybe more! Yum! HI Amy. Thanks for stopping by my blog. Your chicken wings look real delicious! This is like stewed chicken, ang moh style! I have book marked this to try!